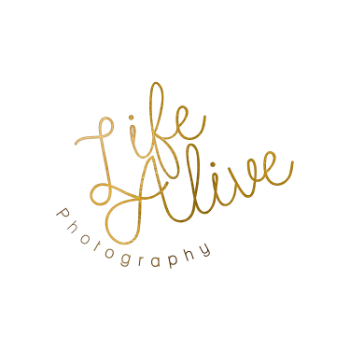 Here's a dose of photography advice from Life Alive Photography! Sometimes in life, situations don't go as you planned them. My advice: roll with it. When Ashley first contacted me to do a portrait shoot, we were both brimming with creative ideas that would be away from the normal and make for a fun shoot. We settled on playing in the spray water fountains at Waterfront Park in Down Town San Diego, across from the USS Midway Museum and the Star of India ships. Well when we arrived early on a Monday morning, we learned that the spray water fountains wouldn't be turned on for 2-3 more hours! Being outdoors, we needed to be done shooting a bit before that time to avoid the harsh overhead light from the rising sun which would cause unflattering shadows on her face. As it was, we had already arrived slightly after the golden hour, when the sun gives the best light for photography. So we rolled onto another idea! Seeing the gorgeous ships docked in the down town piers, we took a few shots there before heading into the shade to finish the shoot. I spotted a couple of other opportunities to get a few silhouette shots and some back lit photos as well, which we weren't planning on doing. Overall, we both had a fantastic time shooting, talking, and laughing, all the while able to roll into other ideas, posing and photography set ups which we wouldn't have gotten to do had those fountains been on! Being fluid is a huge part of being a photographer, and Ashley did so well rolling with the morning in stride! Brittany Slaughter - Wow! Such a sunny and colorful session! These portraits are so fun! Bre Paulson - The joys of dealing with natural light. I think you took some amazing photos! Andrea - Such fun images and I just love that location in San Diego! Laura - How I miss San Diego. It was my home for 20+ years. Jess - I love the light and colors in these images! Beautiful work!! Liz Cleland - I love that these are a bit korky and fun hearted! Great captures. Sharee Davenport - Floppy hats make everything better. I love her floral dress, too! Emilyanne Hardy - What a fun shoot - I love that her personality really shines in these! Heather - Great shots, San Diego has the best locations. Her dress is so pretty and photographs so well. Sarah - Beautiful portraits! Looks like a fun shoot! Love that dress! Bailey Elizabeth - How fun! I love how colorful and playful these images are. Well done! Alicia - Love the dress! Rae Barber - Oooh the lighting brings back so many beach vibes and summer time! Great job! Kira - Such great advice and such a pretty session. Love the light you were able to capture. Amie - It is always so good to see the flexibility with photographers and clients. I like seeing that it was fun! !